Here Are 18 Features Of The New Rs 200 Note You Might Want To Know! 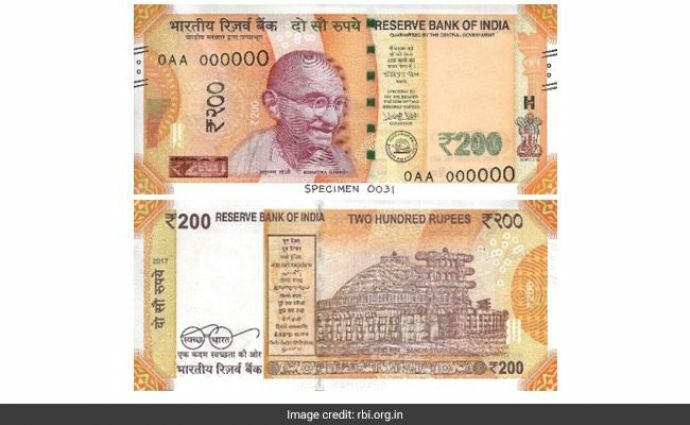 After announcing the introduction of Rs 50 notes, the Reserve Bank is now all set to issue Rs 200 notes on the auspicious occasion of Ganesh Chaturthi. The new denomination notes will be of the Mahatma Gandhi (New) Series, bearing the signature of RBI Governor, Dr. Urjit R. Patel. Earlier this week, the Reserve Bank had also introduced a new fluorescent blue Rs 50 banknote bearing the motif of 'Hampi with Chariot' that depicts India's cultural heritage. 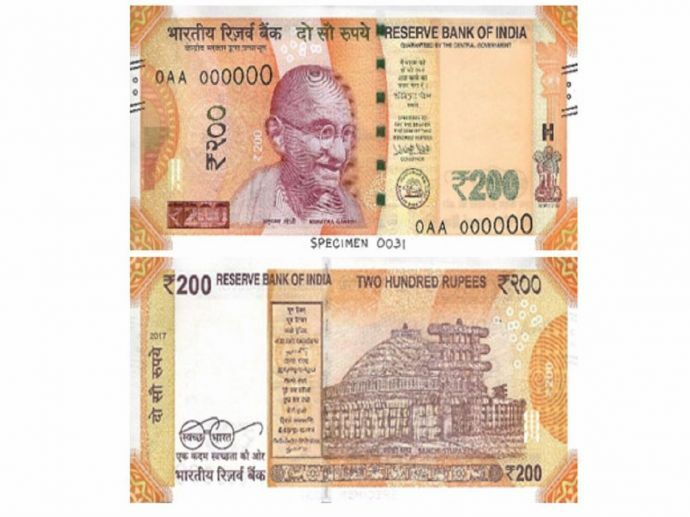 The new notes of Rs 200 will bear the motif of ‘Sanchi Stupa’. The move will bring about lesser pressure on lower-denomination currency bills. The exercise of printing Rs 200 denomination notes is being undertaken, which will improve the currency situation in the country. 1. See through register with denominational numeral 200. 2. Latent image with denominational numeral 200. 3. Denominational numeral २०० in Devnagari. 4. Portrait of Mahatma Gandhi at the centre. 5. Micro letters ‘RBI’, ‘भारत’, ‘India’ and ‘200’. 6. Windowed security thread with inscriptions ‘भारत’ and RBI with colour shift. Colour of the thread changes from green to blue when the note is tilted. 7. Guarantee Clause, Governor’s signature with Promise Clause and RBI emblem towards right of Mahatma Gandhi portrait. 8. Denominational numeral with Rupee symbol, Rs 200 in colour changing ink (green to blue) on bottom right. 9. 'Ashoka Pillar’ emblem on the right. 10. Mahatma Gandhi portrait and electrotype (200) watermarks. 11. Number panel with numerals growing from small to big on the top left side and bottom right side. 12. For visually impaired: Intaglio or raised printing of Mahatma Gandhi portrait, Ashoka Pillar emblem, raised Identification mark H with micro-text Rs. 200, four angular bleed lines with two circles in between the lines both on the right and left sides. 13. Year of printing of the note on the left. 14. Swachh Bharat logo with slogan. 16. Motif of Sanchi Stupa. 17. Denominational numeral २०० in Devnagari. 18. Dimension of the banknote will be 66 mm × 146 mm. We’re sure with these features, the additional security factor shall be maintained.